Dr. Douglas D. Stauffer is an internationally recognized authority in the fields of Bible history, apologetics, and prophecy. He is a prolific author, having written seventeen books along with numerous writings published in Christian periodicals. Because of his biblical expertise, Oxford University Press commissioned Dr. Stauffer to work as one of two contributing editors for the notes on the New Pilgrim King James study Bible. Immediately, following high school, Doug served a four year tour of duty in the USAF. Upon discharge, he returned to Pennsylvania to attend The Pennsylvania State University, graduating with a BS degree in accounting. A few months later he began attending Bible college. While attending Bible college, Dr. Stauffer passed the CPA exam. He then worked as controller of several organizations. In 1994, he gave up his work as CFO of a multimillion dollar company along with managing his own firm when God began dealing with him about dedicating his time more fully to the ministry. Since that time, he has earned his ThM and then his PhD in Religion from International Baptist Seminary. Along with being a frequent guest speaker on radio and television, he has served ten years in the pastorate and logged thousands of hours teaching in churches and at the college level. 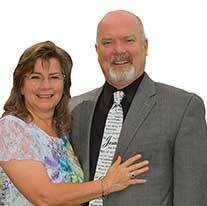 Dr. Stauffer currently serves as an evangelist and president of Partners for Truth Ministries. Doug and his wife Judy are blessed with two children, Justin and Heather. You can find more information about Dr. Stauffer on his website.